YesMyBride is such a team made up of experienced workers and professional bridal dress designers. These designers mostly come from France and US, all of them have more than 5 years’ experience and different designer has different expertise of dresses. 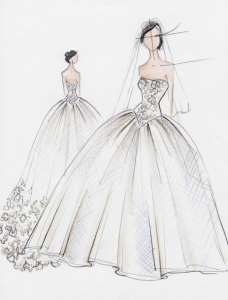 Some designers have ever worked with famous brands for wedding dresses, couture with exquisite craftsmanship. Some designers have an eye for the trend. They are able to help customers to combine different fabric with chic elements to show various style from timeless, modern to romantic and feminine. Join us, you can have the chance to share your ideas with them to design your unique dresses for your big day.